Born at Shippensburg, Pennsylvania, June 11, 1822, he entered West Point at age 20 and graduated in the class of 1846. During the Mexican War, he served as a Lieutenant of Dragoons and was captured and held for eight days as a prisoner of war while making a reconnaissance near Buena Vista, Mexico. After the war, he served in the West, was promoted to First Lieutenant and Captain, took part in a number of Indian campaigns. At the outbreak of the Civil War he was in command of Fort Smith, Arkansas, with part of his regiment, the 1st U.S. Cavalry. 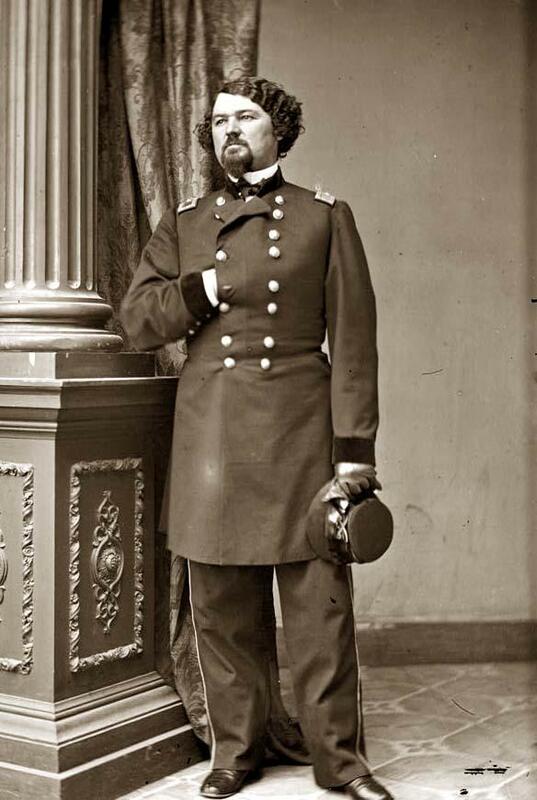 Many of his fellow officers defected to the South; however, he refused to surrender and managed to march his remaining troops with much of their government property to Fort Leavenworth, Kansas. He was promoted to Major and at Wilson's Creek in August he succeeded to command of the Federal forces after the fall of General Nathaniel Lyon. The following March he was appointed Brigadier General of Volunteers to rank from August 10, 1861, the day of the battle. After a tour of duty in the Washington defenses, he was ordered to the front to support General John Pope's Army of Virginia just prior to the Battle of Second Manassas. While attempting to secure priority for movement of his troops on the railroad, he was told that he must wait his turn as other troops and supplies were going forward to support Pope. His reaction was his now-famous remark, "I don't care for John Pope one pinch of owl dung." He fought in the Maryland campaign, at Fredericksburg in charge of a IX Corps Division, and Sharpsburg, where Frrero's Brigade of his Division finally carried Burnside's Brigade. He went west with IX Corps in 1863 and later had a number of relatively unimportant commands in Tennessee and Mississippi. He also served as Chief of Cavalry of the Department of the Ohio. In June 1864 he was routed by Nathan Bedford Forrest at the Battle of Brice's Cross Roads, Mississippi, an encounter which terminated his Civil War service. He was breveted Brigadier General and Major General, U.S. Army, in March 1865 and mustered out of the volunteer service in August. He reverted to his regular rank of Lieutenant Colonel of the 6th U.S. Cavalry. On May 6, 1869 be became Colonel of the 7th U.S. Cavalry and his Lieutenant Colonel Was George Armstrong Custer. He was stationed at a number of Western forts during the two decades that followed the war and for four years he was Governor of the Soldiers Home in Washington. He was retired for age in 1886 and died at St. Paul, Minnesota, September 28, 1889. He was apparently on recruiting duty when Custer and the 7th Cavalry were literally destroyed at the Little Big Horn. One of Sturgis' sons was an officer with the 7th and was killed in that battle. He is buried among other family members in Section 2 of Arlington National Cemetery. 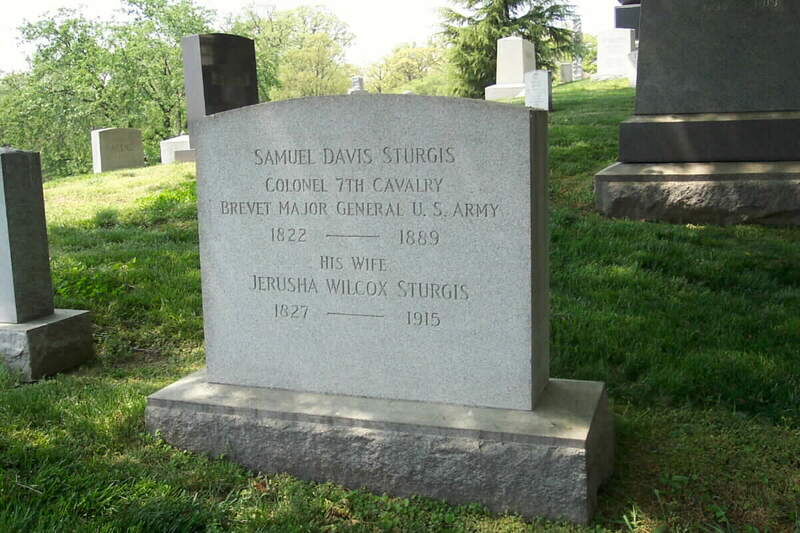 Samuel Davis Sturgis, soldier, born in Shippensburg, Pennsylvania, 11 June, 1822. He was graduated at the United States Military Academy in 1846, entered the 2d dragoons, served in the war with Mexico, and was made prisoner while on a reconnaissance before the battle of Buena Vista, but was soon exchanged. He afterward served in California, New Mexico, and the territories, and was commissioned Captain. 3 March, 1855. 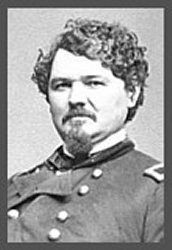 At the opening of the civil war he was in command of Fort Smith, Arkansas, but, all his officers having resigned and joined the southern Confederacy, he evacuated the fort on his own responsibility, and thus saved his command and the government property. 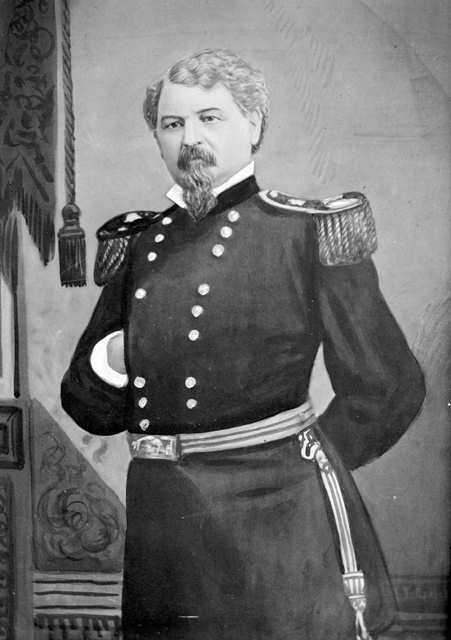 He was appointed Major of the 4th Cavalry, 3 May, 1861, and served in Missouri under General Nathaniel Lyon, whom Sturgis succeeded in command after his death at the battle of Wilson's Creek. He was made Brigadier General of Volunteers, 10 August, 1861, was assigned to the Army of the Tennessee, and afterward to the command of the Department of Kansas. In 1862 he was called to Washington to assist the military governor, and was given command of the fortifications around the city. At the battles of South Mountain, Antietam, and Fredericksburg he commanded the 2d division of the 9th Army Corps, and he was engaged in the operations in Kentucky from April till July, 1868. He was chief of cavalry of the Department of the Ohio from July, 1863, till April, 1864, and captured General Robert B. Vance and his command, 13 January, 1864. 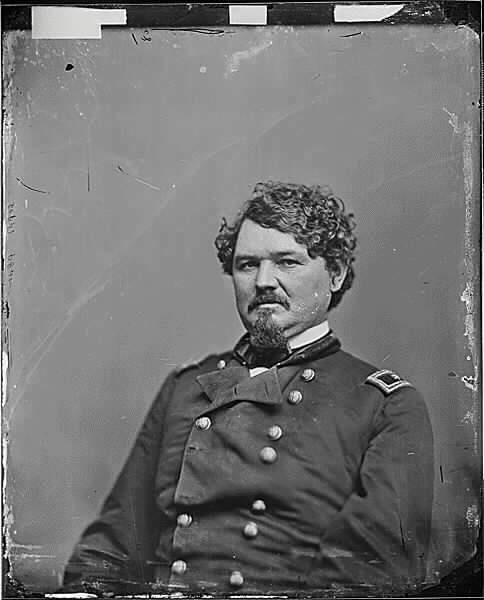 He was engaged at Bolivar, Tennessee, 10 May, 1864, and in the expedition against General Nathan Forrest, and in the fight near Guntown, Mississippi, 10 June, 1864. 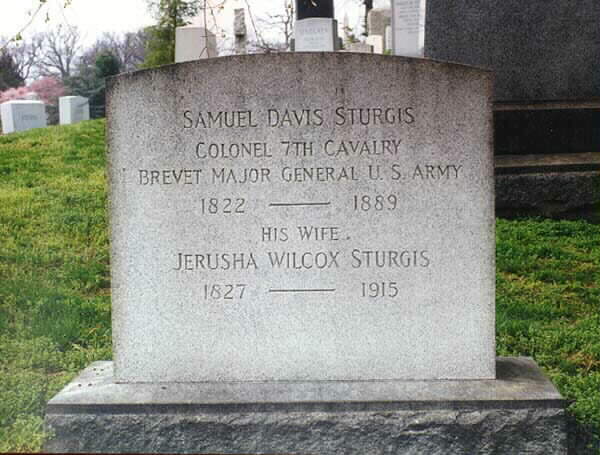 He was appointed Lieutenant Colonel of the 6th cavalry, 27 October, 1863, Colonel of the 7th cavalry, 6 May, 1869, and was retired, 11 June, 1886. 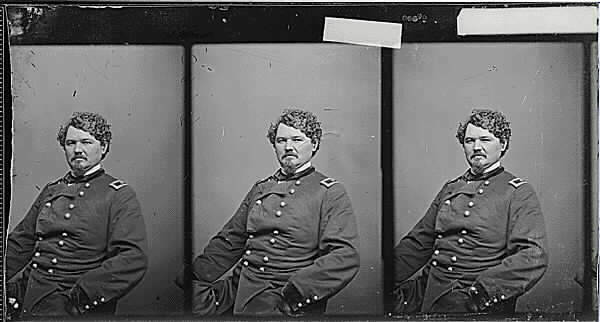 He had been breveted Colonel for Fredericksburg, and Brigadier General and Major General, United States Army, 13 March, 1865. His son, James Garland Sturgis, born in Albuquerque, New Mexico, 24 January, 1854, was graduated at the United States Military Academy in 1875, and was killed in the Indian massacre on Little Big Horn river, 25 June, 1876.